We've got three words for you: pancakes. booze. art. 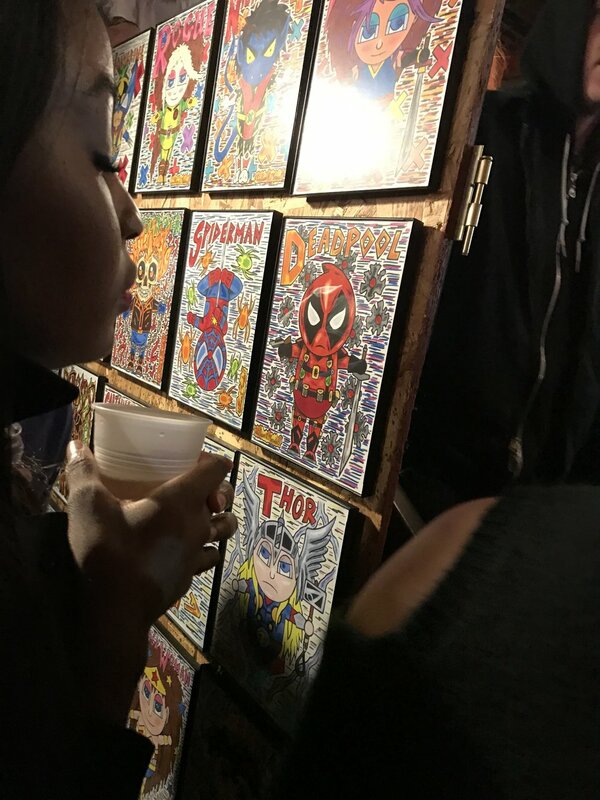 Pancakes & Booze is an underground art show that travels city-to-city across the globe. Underground is a gross overstatement however - the venue was packed with hundreds of artists and onlookers. Their goal is rooted in the same vision as ours: bring the creative community together. But the idea itself is ingenious, use the common denominators of food and drink and get the people talking and ultimately celebrating art and themselves. We showed up only a bit fashionably late, but I'm pretty sure the line was long before the event even started. The hour long wait in the cold didn't seem too long though as the the Big Chief venue is conveniently located very close to old Love night club stomping grounds. If you grew up in the city then you remember that street more fondly then being in the club. But I digress: a $5 entry fee was all it took to step into an artist's garden of Eden. Photographers, artists, merchandisers and a DJ were all set up in the modern warehouse. And while we are on the subject, shout out to DJ Tezrah for keeping it rocking. The art was incredible and a true testament to our city, relevant yet individualistic. 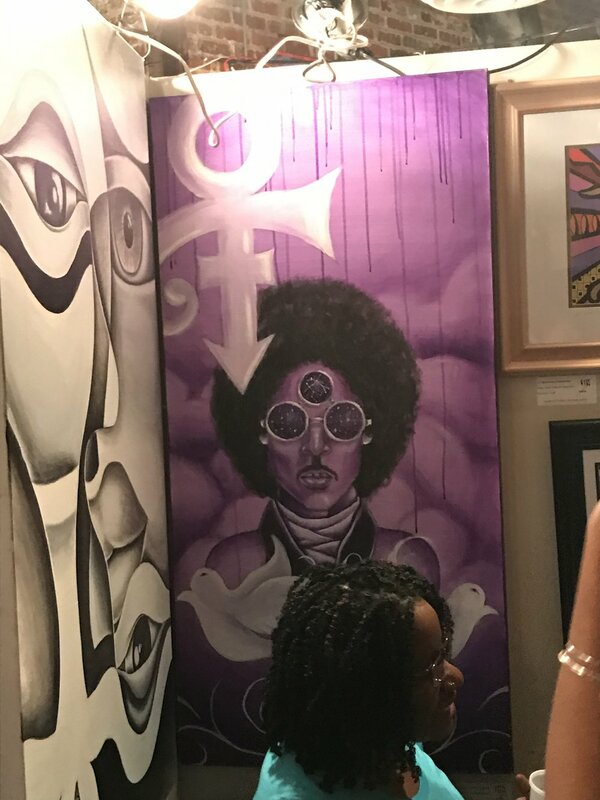 Local artists drew icons like the late genius Prince, took spins on pop culture, toyed with geometric shapes and paid homage to comics. Below is a look at just a few of our favorite pieces and moments from the night. All of this AND free pancakes, but the real gift was the atmosphere. The scene was modern, fun and collaborative in spirit. True to our lean towards community, we focused on talking to quite a few artists. 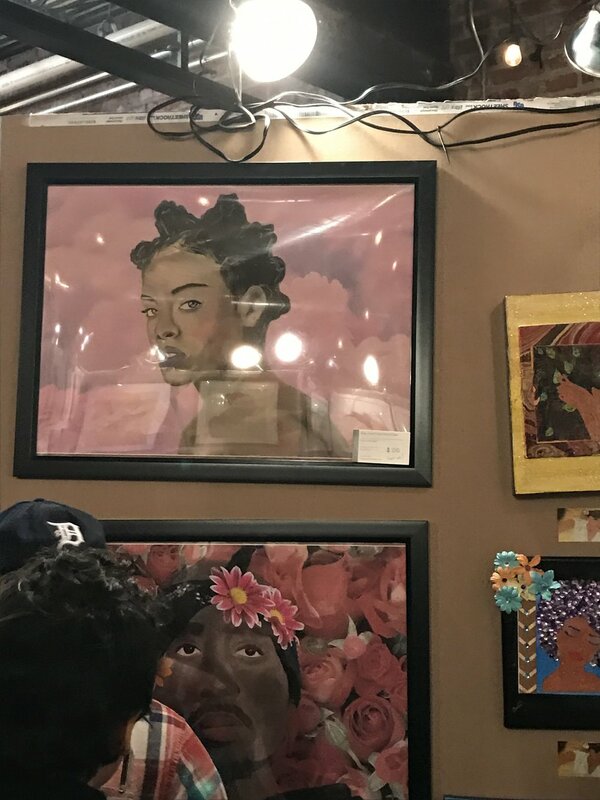 We'll be featuring more work in the coming weeks as a celebration of DC's art scene, but we're sharing a few names to check out here. Because of the abundance of activity going on we didn't get a chance to personally meet everyone, but If you see your name or your work, hit us up so we can properly show love.